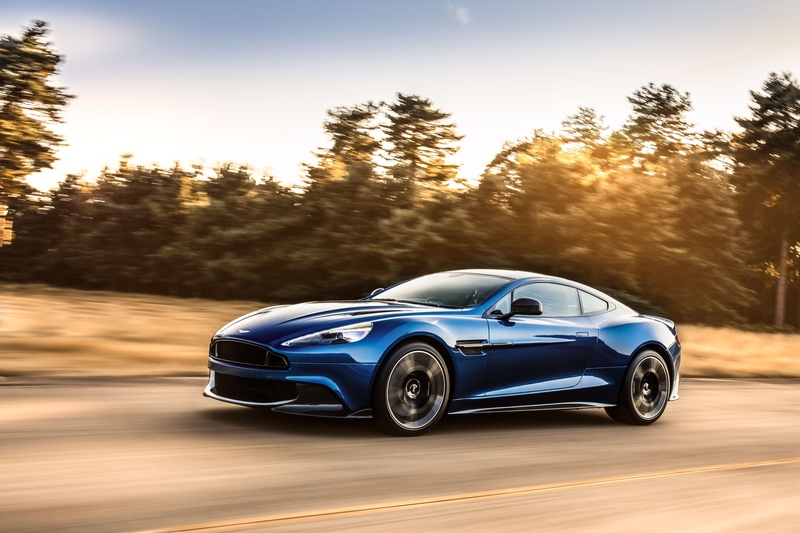 The Vanquish is no stranger to Aston Martin’s model lineup, but their newest incarnation of this hallowed model has really turned it up a notch. Originating from Aston Martin’s illustrious Works in Newport Pagnell, this second-generation model’s hallmarks have been refined to present the world with an even more athletic and ruggedly-stylish design, whilst still carrying that undeniable air of sophistication. 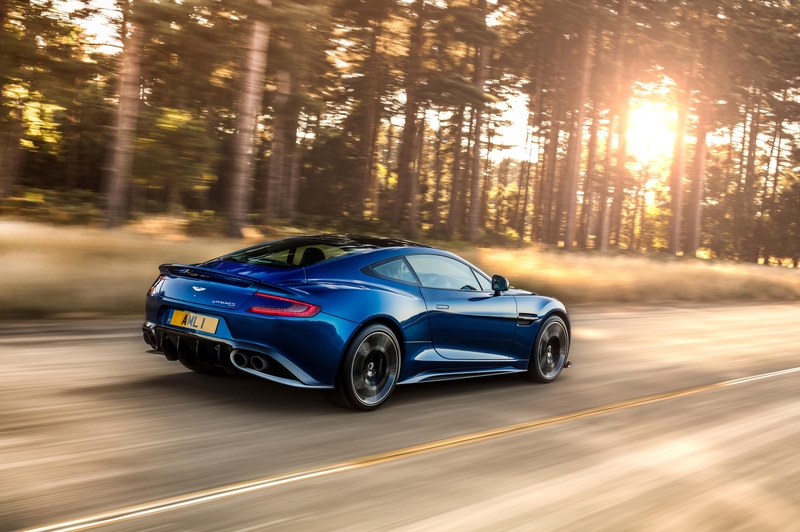 Reimagined to provide a more visceral experience and leg-trembling after effects, the Vanquish S plays host to a naturally-aspirated 6.0-litre V12 engine which pushes out up to 591hp, an increase from the previous model’s 564hp engine. 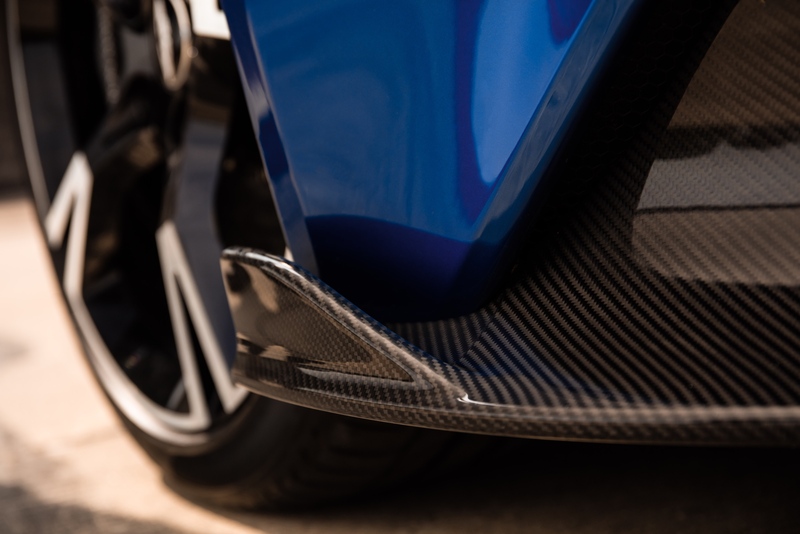 With such close attention having been paid to this new generation’s development, it is no surprise that the throttle response is improved significantly; a development credited to a better flowing air-intake system. The inlet manifolds have been increased in size, allowing more air through into the engine when running at high revs, giving the vehicle a seemingly endless power band on its journey to red-line, and delivering a thrilling ride all the while. With greater power comes the need for a more responsive transmission: the 8-speed Touchtronic III transmission has been reinvented also; to provide faster and precise response, both at high and low speeds. 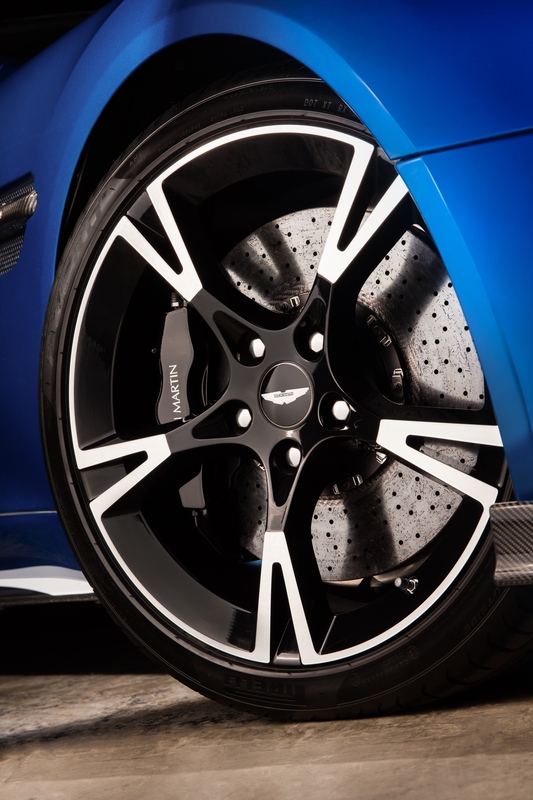 Likewise, the Vanquish S’ spring rates, anti-roll bar bushes, damper internals and suspension components have received an overhaul, giving the car’s ride quality and cornering abilities a more defined edge, whilst still bringing a luxurious ride quality when comfort is paramount. 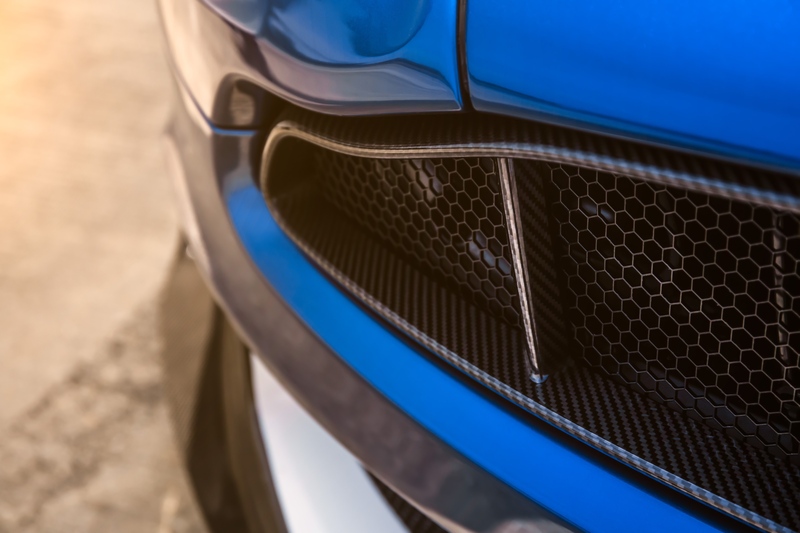 The Vanquish S is immediately distinguishable from its predecessors through the use of a new package, upgrading a number of aerodynamic elements such as front splitter and rear diffuser (both produced from exposed carbon fibre). Although restyled and updated, they reduce frontal lift and rear drag noticeably. 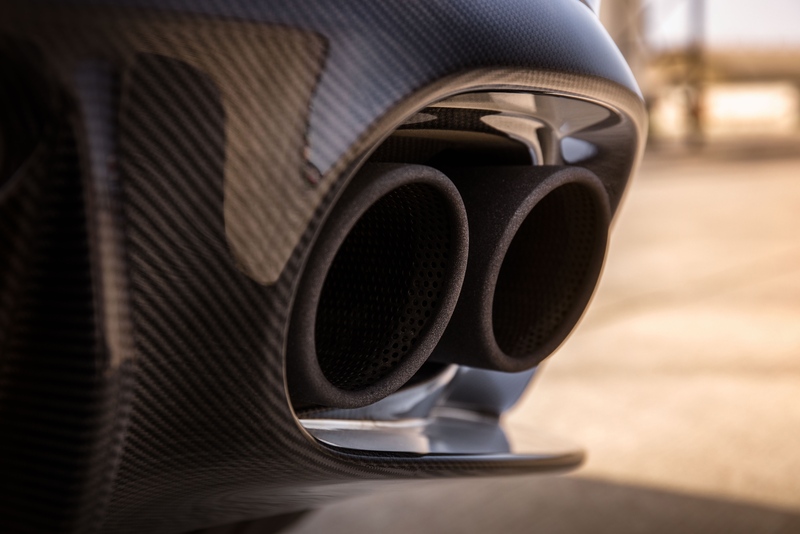 The newly styled quad-exhaust outlets create an ominous presence as this new beast flies past you on the highway, giving the GT production model the kind of aggressiveness it demands. 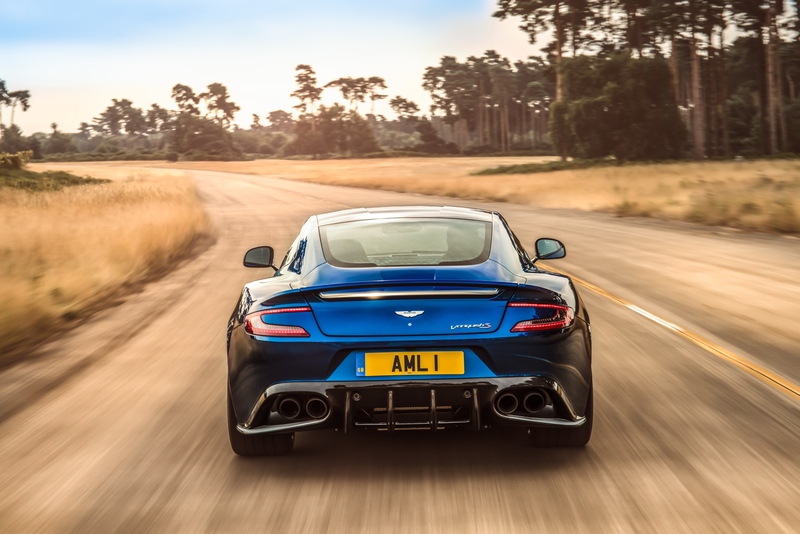 A number of freshly released options are available to complement the existing styling cues and enviable “Vanquish S” badge which adorns the vehicles tailgate, including: new painted graphics packs, carbon-fibre bonnet louvres and new forged 5-spoke diamond turned wheels. The Vanquish S re-style would not be complete without a cosmetic overhaul of the interior details. Owners can now opt for the newly designed Filograph quilted-leather upholstery as well as a myriad of new materials and finishing options, one of which is a Satin Chopped Carbon Fibre finish on the fascia panel. 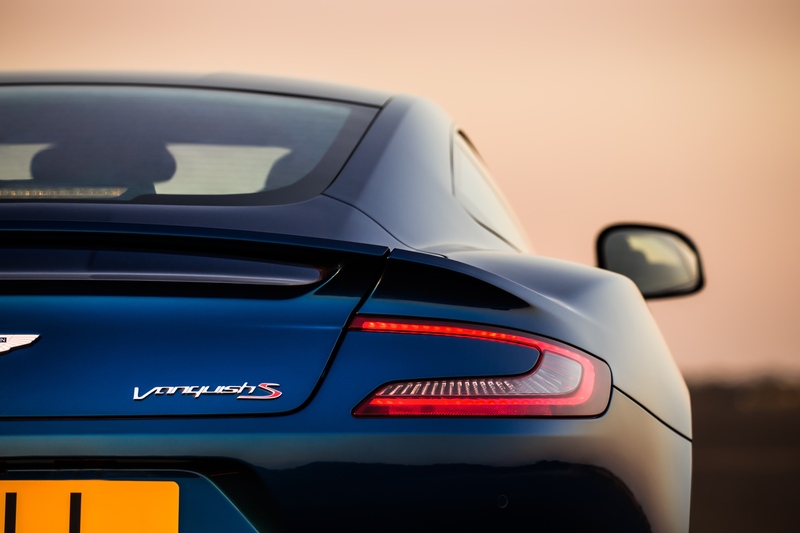 Aston Martin’s signature embroidered headrests evoke a bespoke air as they proudly sport the “Vanquish S” logo, complementing the Bridge of Weir Caithness leather throughout the cabin. The Vanquish S is available as both Coupe or Volante models, with recommended retail prices starting from £199,950 in the UK, €262950 in Germany and $312,950 in the US; with deliveries already underway as of December 2016. 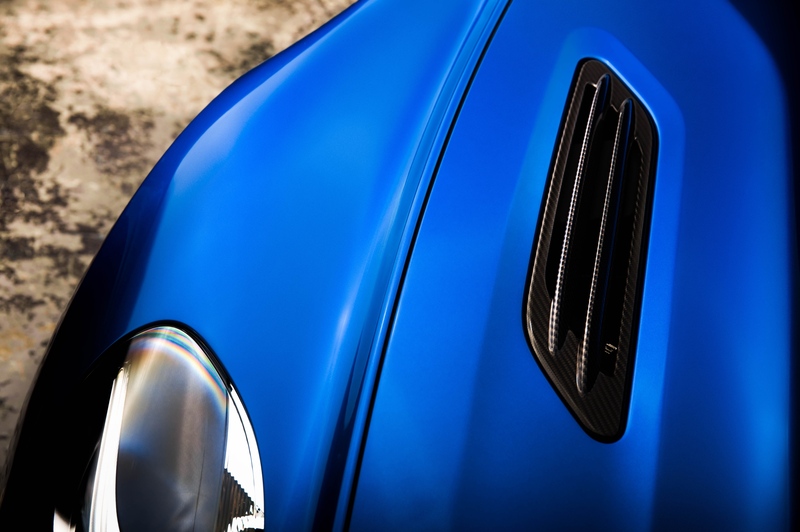 As an official body repairer for the upper echelon of vehicles, Exclusive Body Werks provides a complete repair service, with friendly professional staff, catering for all your needs from the first contact at an accident scene, where once called our highly trained personnel can help you to gather the relevant information needed so that the claim with your insurer is hassle free.